Thanh Binh Riverside Hoi An Hotel is located along the banks of romantic Thu Bon river, where is stood out thanks to a wide outdoor swimming pool equipped the luxurious chairs and umbrellas. 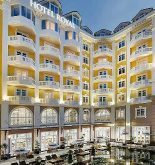 Moreover, this place is just at 30 minutes driving car distance from Da Nang airport and is distant Cua Dai beach, Hoi An Market, Bridge Pagoda and others about 5 km. 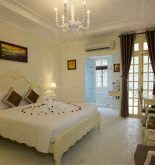 The four star Thanh Binh Riverside Hoi An Hotel has 81 rooms in total, with three kind of different rooms especially they overlook different directions such as garden, Thu Bon river, Hoi An old quarter. The hotel itself is a harmonious combination of traditional and modern architecture. The inside hotel is equipped full of luxurious facilities in accordance with four start: air conditioning, internet, LCD television, IDD telephone, bathtub, water heater and private balcony. Address: Hamlet 5, Nguyen Du St, Hoi An, Quang Nam, Vietnam. 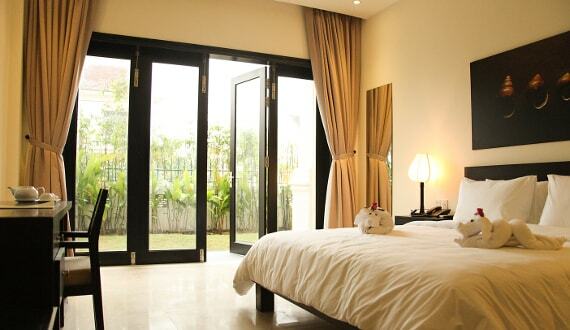 This information has been supplied by Thanh Binh Riverside Hoi An Hotel.